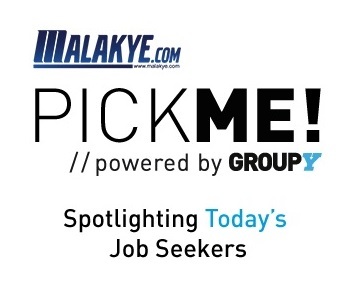 Malakye Now: Your JobWire | Profile: Howler Bros. CMO | Mike's Mash Up | B2B: FBDESIGN | Pick Me! Malakye Picks: Make Collaboration Work! Brixton is looking for a Purchasing & Logistics Specialist to join the team in Oceanside, Calif. The world needs more Ju-Ju-Be! The best way to make that happen is to spread the word...and that's what you'll be doing as the Marketing Manager for Ju-Ju-Be, Intl based in Costa Mesa, Calif.
Horny Toad is seeking a Women's Sportswear Designer to join its collaborative, fun but hard-driving, hands-on design & development team located in Santa Barbara, Calif. This position requires the skill and passion for creating sportswear that is actively accommodating and socially versatile with a distinctive point of view - style that is relevant, enduring, effortless and balanced with comfort, function and environmental awareness. Horny Toad is also looking for a Senior Technical Product Developer to join its team in Santa Barbara, Calif. This job is critical to the product development process and requires a passion for creating clothing that looks good and works, a love of how things go together and the ability to creatively problem-solve and communicate around the world. The La Jolla Group is a worldwide leader in the action sports apparel industry with a fast paced, high energy environment that is continually on the move and on the hunt for an Apparel Production Manager to be based in Irvine, Calif. Knowledge of international importing/exporting in the US and globally is required. Quiksilver is looking for a Senior Accountant to join the team at headquarters in Huntington Beach, Calif. The Senior Accountant will assist in the preparation of the regional consolidated financial statements by preparing journal entries necessary for financial statement preparation. Big Agnes, located in Steamboat Springs, Colo., is currently seeking a Product Designer. This person will be responsible for developing, communicating and executing products that sell, ensuring that product is in alignment with brand message and business objectives. Eddie Bauer, located in Bellevue, Wash. (Seattle area), is seeking a Senior Product Line Merchandiser for its Women's Performance Sportswear category. KEE Action Sports is a leading paintball manufacturer and distributor of paintball equipment, apparel and paintballs and is recruiting an experienced Director of Sales that is ready for that next step in their career path. This position is located in Bentonville, Ark. Simms Fishing Products is a leader in the fishing industry - driven to create innovative angler-driven products and experiences and is looking for a Marketing & Brand Presentation Manager. This is a full-time, in-house position that will be based in Bozeman, Montana. CamelBak is looking for a European Sales Managerto join the team. Please note this position, based in Central Europe, is open to local candidates only. In-depth market knowledge of the outdoor and bike markets is vital and retailer relationships in Germany, Austria and Switzerland would be an advantage. Lifted Research Group is seeking a full-time talented and motivated Graphic Designer/ Illustrator specializing in women's graphics to join its art department. This is an opportunity to have an impacting job at an innovative clothing company. Must be flexible to work in house at HQ located in Southern Orange County, Calif.
Delta Apparel Inc. specializes in selling a variety of casual and athletic tops and bottoms, embellished and unembellished T-shirts, and licensed and branded clothing and headwear for the ever-changing apparel market and is looking for a Design Assistant to help out with a variety of daily duties. This position is located in Santa Fe Springs, Calif.
Manduka is looking for a New Business Key Account Executive to help drive and support the company's domestic key account relationships. This position is located in El Segundo, Calif.
Incase is looking for a Product Manager to join the team in Chino, Calif.! The Product Manager is responsible for the planning and management of product lines to achieve brand and business goals. 5.11 Tactical is on the hunt for a Marketing Manager who will coordinate, prioritize and track the workflow of marketing and advertising projects, and public relations projects. He/She will work closely with the Marketing Director, the Marketing Team, eComm team 3rd party vendors, Category Business Leaders, Sales Teams and other outside agencies to ensure project expectations are met. This position is located in Irvine, Calif.
OluKai creates quality products for our customers while leaving the smallest footprint possible on the planet and is currently looking for a Front Office Coordinator. This position is located in Irvine, Calif.
OluKai is also on the hunt for a Key Accounts Manager based in its Irvine, Calif. office. An established and successful Online Cycling Retailer is seeking an Accounting Supervisor to be based in the South Bay area of Los Angeles, Calif. This person will oversee 1-3 A/P employees and report to the Admin Department Manager. 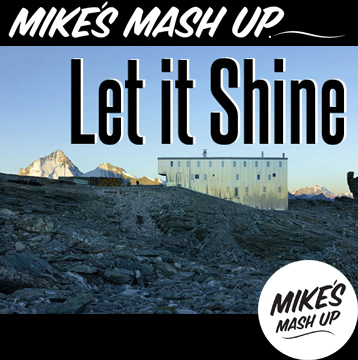 Live in Chicago? Have retail experience? Then apply today for this Store District Manager position at Vans located in Chicago, Ill. Under the direction of the Regional Director, the District Manager exercises independent judgment and discretion in developing and articulating strategies to drive the entire district's business. Converse has an amazing Associate Creative Director position available in Boston, Mass. With the support of the All Star Brand design team, global Brand design and a cross functional All Star team, you will lead, inspire and drive the look and feel of the All Star segment across all global channels. Sport Chalet has been a leader in the specialty sporting goods arena for over 50 years and continues to grow. Check out these "3" NEW positions based in La Canada, Calif.
Vans is also looking to fill "2" OPEN positions at its Distribution Center in Santa Fe Springs, Calif. - check 'em out! The La Jolla Group is a worldwide leader in the action sports apparel business segment with a fast paced, high energy environment that is continually on the move and currently has "2" OPEN positions available for you today in Irvine, Calif., check 'em out! Metal Mulisha is looking for a Mens Product Developer. This position is located in Irvine, Calif.
A Confidential Company located in Orange County, Calif. is on the hunt for an Apparel Associate Developer for Knits and Fleece to be responsible for presenting new/innovative ideas related to fabric and construction innovation. The La Jolla Group is on the hunt for a Retail Marketing Intern to be based in Irvine, Calif. All internships at The La Jolla Group is unpaid for course credit only. You will need to be able to prove that you are receiving course credit toward graduation. O'Neill is looking for a Marketing Intern for the Girls Marketing Department based in Irvine, Calif. All internships at O'Neill are unpaid for course credit only and you must be currently enrolled in college and eligible to receive credit toward graduation. O'Neill is also on the hunt for a Sales Intern for the Internal Marketing Department based in Irvine, Calif.
Metal Mulisha is looking for an Intern for the Men's Graphic Design department! You will specifically be working on the Men's Printables and Headwear categories. This position is located in Irvine, Calif.
Metal Mulisha is also looking for an Intern for the Merchandising department in Irvine, Calif. All internships at Metal Mulisha are unpaid for course credit only. Vans, the leading action sports lifestyle company for the youth market, is swinging their doors wide open for "14" INTERNS to join the crew in Cypress, Calif. - check 'em out! Oakley's recruiting team in Foothill Ranch, Calif. opens up a position for one person to join the innovative talent acquisition team. Check out this Recruiting Scheduler opportunity! A Confidential Company in Rancho Cucamonga, Calif. is looking for an Operations Manager to be responsible for directing the daily activities of the distribution center including labor scheduling, labor adjustments, communication, supervision and proper utilization of space and equipment. Fortress Group LLC, creators of Crush and Kreed sunglasses, is looking for a Customer Service Representative / Receptionist to join the team in Lake Forest, Calif.
Zappos has been named one of FORTUNE's 100 Best Companies to Work for six years straight and hiring like crazy right now and looking for smart, forward-thinking problem solvers to join its world-class and fairly wacky team in Las Vegas, Nev. Check out these "3" NEW positions available today! Dakine is looking for a Graphic Designer to join the team in Hood River, Ore. This is a full-time, in-house Graphic Design position. A minimum of four years professional studio experience, after graduation with a Design Degree or equivalent experience is required. Do you have a creative mind and want to design racing inspired awards, banners, decals, shirts and more? If you have the desire to work in the action sports industry, this may be the job for you! MxTrophies is seeking a Graphic Web Designer / Vinyl & Award Production Manager to be located in Virginia City, Nevada (Reno/Tahoe Area). DC Shoes is seeking a full-time well-rounded Graphic Designer to join its marketing creative design team in Huntington Beach, Calif.
A Confidential Company based in Cypress, Calif. is seeking an Apparel Production/Logistics Manager must be a resourceful team player with exceptional management and communication skills. 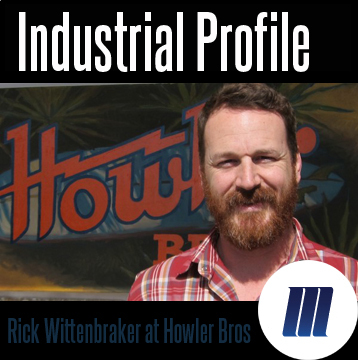 Mountain Hardwear, located in Richmond, Calif. (SF Bay Area) swings open the door for a super-creative, slightly off-the-grid and experienced Quality Engineer - Apparel to support its design and development teams. Quality Bicycle Products is one of the world's leading distributors of bicycles, components, and accessories and is on the hunt for a Sales Representative to grow profitable BMX sales and increase the number of strong BMX dealer partners within their given territory. Success is measured primarily on key sales metrics, outbound call success, new account openings, and quality of dealer relationships. This position is located in Bloomington, Minn.
Melmarc Inc., located in Santa Ana, Calif. is looking for a Customer Service Representative with extensive Electronic Data Interchange (EDI) and Vendor compliance knowledge. The Duck Company located in Arvada, Colo. designs and manufactures resort apparel. Those with sales experience now have an opportunity to join the company as Inside Sales Representative. Confidential Company, located in Torrance, Calif. is looking for a Customer Service Representativefor its auto gear division. Affliction, located in Rancho Dominguez, Calif. is looking for a Cut N' Sew Supervisor to join its apparel production department. A Confidential Leading Brand in the outdoor, action sports, and motorsports industries, located in Spokane, Wash. is seeking a Vice President of Operations. A small 20-person, yet rapidly growing company sold across 1000 independent retailers world wide. Product Design Director who will be creating original product designs for various categories and sports within the performance division. Director of Merchandising who will, under the direction of the Chief Creative Officer, the Director of Merchandising will have the primary responsibility of aligning the merchandise and inventory plan to annual sales and cash flow, while increasing gross margin. Spy Optic, Inc., is looking for a Part-Time Junior Product Designer to join the team in Carlsbad, Calif. The Junior Product Designer helps to create innovative designs for all product lines (sunglasses, performance, RX, snow goggles, moto goggles, snow goggles). Under supervision of Senior Product Designer, the Junior Product Designer helps with creative ideas and production design. The Clymb is looking to add a Buyer to its team in Portland, Ore. Expertise in outdoor apparel, gear, accessories and cycling is a must. lucy activewear is on the hunt for an e-Commerce Managerwho will work closely with the Director, e-Commerce to identify strategic opportunities for development as well as assuring that the day-to-day operations are maximized. This position is located in Alameda, Calif. (San Francisco Bay Area). Apparel Product Developer to ensure consistent and superior fit of all product lines in addition to the development of all products including BOMs and spec sheets. Product Line Manager - Bike to work on the Cannondale apparel line. XTERRA Wetsuits and XTERRA Boards are leading manufacturers and distributors of triathlon wetsuits and inflatable stand-up boards and are seeking a full time Bookkeeper to join its team San Diego, Calif. The ideal candidate will have experience in accounting in the e-commerce and manufacturing fields, experience in Magento and Quickbooks, a strong work ethic, and be organized. Rudy Project, a local leader in Italian high end prescription Sport Eyewear & Cycling Helmets, is seeking a dynamic and passionate sales professional to join its growing Inside Sales Team. This position is located in San Clemente, Calif. Wish rests in the center of one of Atlanta, GA's most vibrant and edgy districts and is currently seeking an Assistant Store Manager that strives to offer excellent customer service and provides organized and efficient support to the management team. A small 20-person, yet rapidly growing Confidential Company sold across 1000 independent retailers world wide is seeking a Vice President of Operations. This position is located in Spokane, Wash.
Newport Beach, Calif.-based premium sunglass brand Kaenon is seeking to hire a part time Receptionistwho will contribute toward a culture of superior customer service with a "customer-first" attitude and work ethic. NRI is looking for a Client Services Manager to join the team, splitting their time between the Los Angeles and Fontana, Calif.
RVCA Clothing is looking for a Men's Patternmaker to create specification sheets based off of garment description, sample and sketches. This position is located in Costa Mesa, Calif.
RVCA is also looking for a Women's Patternmaker to join the team at headquarters in Costa Mesa, CA. It takes a super special person to pick up the phone and be instant friends with the person on the other end of the line. But that's what Ju-Ju-Be is all about! If this sounds like you then check out this Customer Service Extraordinaire position located in Costa Mesa, Calif.
ICON is reinventing recreational aviation and pushing the boundaries of aircraft design and wants you to join its team! ICON is looking for a Lead Graphic Designer to be based in Los Angeles, Calif. You will be charged to elevate all aspects of ICON graphic design. ASICS empowers its employee's to Stop At Never - to pursue their career goals and is looking to fill "5" NEW positions at its office in Irvine, Calif.
DC Shoes, Inc. is in need of a full-time well-rounded Graphic Designer for Dyrdek product to join its team in Huntingon Beach, Calif. Skateboarding specific or Action Sports Industry specific experience a big plus. DC Shoes is also seeking a full-time well-rounded Graphic Designer with an emphasis in snowboarding specific creative to join our marketing creative design team. This position is located in Huntington Beach, Calif.
5.11 Tactical are Innovators who make purpose-built gear for the most Demanding Missions and due to tremendous growth has a slew of amazing positions located in Irvine, Calif. available for you today - check 'em out! American Rec is a collection of ten of the best-known and best-loved brands in the outdoor industry and is looking to fill "3" OPEN positions based in Boulder, Colo. - check 'em out! Fjallraven is looking for a Store Manager for its location in Vancouver, BC. This store will carry all relevant men's and women's fashion styles as well as a full line of outdoor products from the Fjallraven collection. Knowledge of and participation in the outdoor industry is required. Quiksilver is looking for a Staff Accountant, to join the team at headquarters in Huntington Beach, Calif.
OluKai is looking for Shipping Clerk to join the team in Huntington Beach, Calif. Applicants must have current UPS Worldship and FedEx Software experience to apply. Ariat International, based in Union City, Calif. (San Francisco Bay Area) is in search of an Assistant Designer. Jenson USA is in need of a Buyer/Inventory Analyst to be located in Riverside, Calif. Candidates must have Bicycle Industry knowledge and experience to be considered for this position. 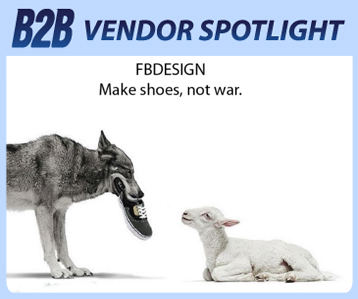 A fresh and exciting footwear and apparel company is currently seeking an aggressive Footwear Sales Manager with experience in athletic footwear. This role, located in the area of San Francisco, Calif., is responsible for developing and implementing sales strategy, while maintaining ongoing contact with existing and potential customers. Adidas Golf is looking for a Global Product Marketing Manager. This position is located at the Carlsbad, Calif. headquarters and reports to the Senior Director, Global Apparel. This position is responsible for product creation and merchandising of the men's global golf apparel product line, from range planning through product life cycle. Product Plan must align with short and long term marketing, financial and growth objectives in accordance with the Global Brand Strategy. BIC Sport is looking for a Marketing & Digital Media Coordinator to join the team at headquarters in West Wareham, Mass., about an hour outside of Boston. The Rome Snowboard Design Syndicate is looking for a highly creative Senior Graphic Designer - Print/Web Focused to produce powerful, on-brand advertising material for print and web. The candidate will need to possess substantial experience in layout and production methods associated with these projects. This position is located in Waterburry, Vermont. Sole Technology offers a rad (yes, "RAD!") balance of challenging career opportunities and a friendly, laid-back environment. Does this sound like a place you'd like to work? Then apply now to the open Accounts Payable Specialist position located in Lake Forest, Calif. So what makes Sole Technology so great? Sure, without their customers they wouldn't be able to pay the bills, but it's their PEOPLE that give this company its heart and sole. (Pun intended.) Sole Tech is currently on the lookout for a Controller to be a part of the Accounting Department in Lake Forest, Calif.
Quiksilver, based in Huntington Beach, Calif., continues to grow and has "3" OPEN positions available for you today, check 'em out! DC Shoes, located in Huntington Beach, Calif., is looking for a Product Manager to join the team! The Product Manager is responsible for leading an assigned category's planning and product creation process from concept through commercialization. Chrome is looking for someone to become the Store Manager of its newest HUB in Seattle, Wash. This new member will be responsible for delivering a best-in-class brand and customer experience, hitting sales goals, and creating an easy-to-shop environment. Steady Clothing's mission is simple: to create the highest quality product while staying true to its roots. Steady Clothing is currently looking for an E-Commerce Store Manager to to take the company's web store to the next level. This position is located in Santa Ana, Calif.
Electra is seeking a motivated, talented Industrial Designer who is passionate about consumer-centered design. This position is located in Vista, Calif. You will be involved in the design and development a range of cycling products in a high energy, creative, multi-disciplinary environment. 5.11 Tactical has an exciting opportunity for an experienced, highly motivated and energetic Executive Assistant in Irvine, Calif. who will play a critical role in providing a high level of support to the CFO and the other members of the Executive Team. Growth at 5.11 Tactical has also created an exciting opportunity in Irvine, Calif. for an Associate Technical Designer who will be responsible for preparing garments for live fittings and evaluations, updating sketches, and the execution of comments with Senior Technical Designer guidance. Outdoor Technology is seeking a talented & trained Designer/Jr. Creative Designer to take the torch on all things creative for the brand. Outdoor Technology is a fast growth brand looking for a highly dedicated, hardworking, person with proven reliability to join its team. This position is located in Los Angeles, Calif.
Reed Exhibitions is looking for a storyteller that is passionate (bordering on obsessed would be OK as well) about pop culture to bring its brand strategy to life. ReedPOP is searching for a Brand Marketing Manager to help create a compelling marketing strategy for our global portfolio of pop culture shows. This position is located in Norwalk, Conn.
Amer Sports Winter and Outdoor (ASWO), located in Ogden, Utah, is looking for a Consumer Marketing Manager - Outdoor to join the team. SCOTT Sports is seeking a qualified individual for the full-time position of Bike Marketing Manager to be located in the company's new Salt Lake City, Utah office. SCOTT Sports, in Salt Lake City, Utah, is seeking a qualified individual for the full-time position of Marketing Coordinator for its US Bike division. Crocs, in Niwot, Colo., is currently seeking a Merchandise Allocations & Replenishment Analyst. You will be responsible for allocating, replenishing and managing inventory to support assigned product/gender category. Royal Robbins is seeking a Technical Designer to join its team in San Francisco, Calif. The Technical Designer will assist in the daily tasks of fit analysis, patternmaking, garment review, BOM review, database maintenance and any other duties as assigned. Carlsbad, Calif. based Boardworks Surf has an opening for a full time A/R & Accounting Assistant position. This position reports to the Controller. The ideal candidate will have a full suite of computer and basic bookkeeping skills and will have previous success in Accounts Receivable collections. Are you ready for an exciting and challenging position with a leading e-commerce company? As one of the fastest growing e-commerce companies in the United States, LeftLane Sports is expanding our team at our San Luis Obispo headquarters. LeftLane Sports is hiring an Action Sports Buyer. The Action Sports buyer has responsibilities across both LeftLaneSports.com and Seshday.com and will be based in San Luis Obispo, Calif.
Vans is on the lookout for an Industrial Design Intern who will create and develop product concept drawings and prototypes that optimize function and appearance in the Vans Footwear lines. This position is located in Cypress, Calif. Located in Cypress, Calif., Vans is also on the hunt for a Public Relations Intern who will assist the department with Public Relations efforts both within the company and to the public.